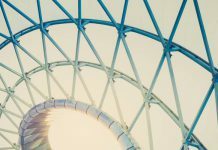 ITIL, formerly known as the Information Technology Infrastructure Library, is the world’s most popular framework for IT service management (ITSM). Used across virtually every industry from technology to animation, ITIL is designed to help users align their IT services and business requirements, creating an atmosphere of continual service improvement that will ensure they can deliver the best end-products and services possible. At the itSMF USA Fusion 2017 conference, AXELOS Global Best Practice finally announced ITIL 4, the latest iteration of the framework. This new industry and community-driven version would not only improve on existing ITIL processes, but it would also acknowledge and overcome many of the most common hangups with ITIL V3. It is safe to say that the ITIL 4 announcement received a mixed reception. 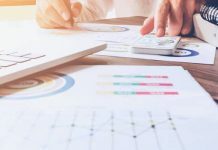 Many were excited, as ITIL V3 has gathered a number of criticisms over the years, and in announcing ITIL 4 AXELOS appeared to address them fully. Others were, naturally, concerned about what the release would mean for existing ITIL V3 certifications. Would they still remain valid? How would the ITIL 4 certification path be different? 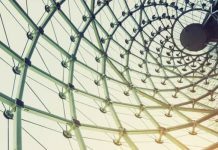 With ITIL 4 Foundation scheduled for release in early 2019, it is well worth it for ITSM practitioners to familiarise themselves with the newest version of the framework. Here is what you can expect from the newest version of ITIL! How does ITIL 4 work? From what we have heard so far, it seems that many of the core elements of ITIL V3 will still be present in ITIL 4. However, there are three main changes to be aware of. The first is that ITIL 4 will be far more industry and community-driven than its predecessor. In the past, practitioners have argued that ITIL has been out of touch with changes to technology, as well as the general ITSM community. 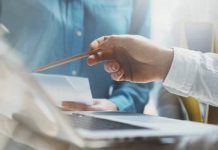 For this reason, the development of the new ITIL has seen AXELOS work with ITSM practitioners, writers, reviewers and other expert representatives in order to create a far more valid and satisfying framework. Better yet, ITIL 4 will be continuously refined by the ITIL Development Group, which currently boasts over 2000 members from many of the world’s largest and most successful organizations. 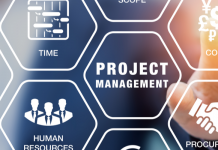 The second is that AXELOS has identified a number of other practices and frameworks for integration with ITIL 4, including Agile, Lean and DevOps. This will make it a far more versatile tool, ideal for modern ITSM practitioners. The final point to keep in mind is that the ITIL 4 certification path is quite different from the ITIL V3 equivalent. Using the previous version, students would first gain an ITIL Foundation certification before moving on to intermediate modules in either the ITIL Lifecycle or Capability streams. In order to become ITIL Experts, students would then take the ITIL Managing Across the Lifecycle (MALC) module. The new version of ITIL will do things a little differently. Students will still start with the ITIL Foundation module, but after this point, they will have two new streams to choose from: ITIL Managing Professional (MP) and ITIL Strategic Leader (SL). Each will contain several modules which must be passed in order to achieve either title. Once a student has finished all intermediate modules, they will then be eligible to start moving towards the rank of ITIL Master. If you are already certified in ITIL V3, don’t panic! As the modules for ITIL 4 are released, there will be a number of ways to transfer over to the new certification path. Your best choice will depend on your current ITIL certification level, so consider your options carefully. For example, the ITIL Managing Professional Transition module will allow ITIL V3 experts to reach the level of ITIL Managing Professional (MP). After this, taking the ITIL Leader Digital & Strategy module will allow them to also obtain the ITIL Strategic Leader (SL) designation. How can an ITIL 4 certification help my business? There are several benefits to studying ITIL, both for individual ITSM practitioners and businesses. For one, students can choose which ITIL certifications to pursue based on their own requirements, as only the ITIL Foundation module is mandatory. This is particularly true for ITIL V3, which has a larger number of niche intermediate modules to choose from (AXELOS has said that ITIL V3 certifications will remain valid). Before we continue, it is worth keeping in mind the importance of IT for modern businesses. Virtually all companies now utilize IT in order to deliver products or services, making IT service management absolutely essential. ITIL 4 is a wholly modern ITSM framework which has, and will continue to be, developed by experienced ITSM specialists. Adopting it will enable your business to produce the best services possible, regardless of your industry, size or capabilities. 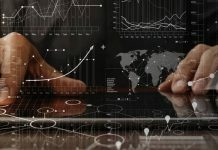 This, in turn, will lead to boosted profits, an improved reputation among your customers, and even happier employees as your own internal ITSM processes are refined. Importantly, the new ITIL is also designed to be flexible enough to incorporate future technological developments. After all, in this current digital age, there are always new disruptive factors to take into account. With the flexibility offered by ITIL 4, you will be better able to adapt your business when necessary, helping you to maintain a competitive edge over your competitors. It can also be worth upskilling multiple employees in ITIL. This will greatly improve collaboration, allowing your teams to work smarter both in managing IT and creating, implementing and maintaining services in practice. Finally, given the popularity of ITIL, it is worth keeping in mind that a fully up to date ITIL certification could make you far more desirable to potential employers. Once the ITIL 4 modules are released, studying them could provide an excellent springboard for a career in ITSM. Why gain an ITIL 4 certification with Good e-Learning? 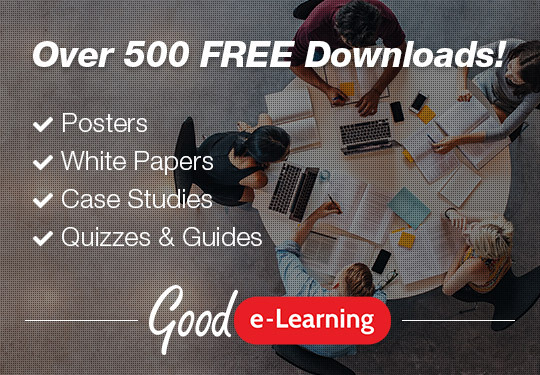 Good e-Learning is an award-winning e-course provider covering many of the world’s most popular corporate standards and frameworks, including TOGAF, Lean, Six Sigma, COBIT 5 and ITIL. 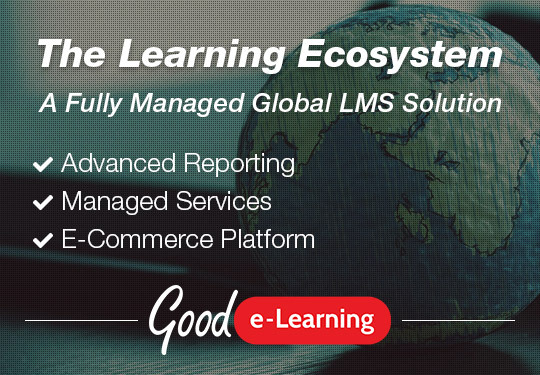 Not only do we offer a range of online certification courses, but we can also create new bespoke courses specifically geared towards the learning objectives, needs and capabilities of our customers. Our courses are far flung from the endless slides and PDFs that so many of our competitors use. Instead, we endeavor to provide engaging online learning assets such as interactive videos, motion graphics and gamified quizzes. Students can also enjoy 24/7 tutor support, as well as FREE vouchers for when they are ready to gain their certifications. We even offer a variety of free online training resources to help students along. Most importantly, we understand how difficult it can be for students with full-time working schedules to find time for training. As such, we make our courses available for several months, allowing users to stagger their training without having to use up too much time outside of work. Our courses are also fully accessible on all electronic devices, including phones and tablets, so that students can access our training materials at home, at work or even on the go. 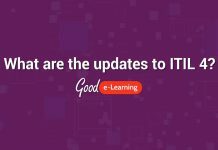 The Good e-Learning ITIL V3 portfolio is extensive, covering ITIL V3 Foundation, all intermediate modules and Managing Across the Lifecycle (MALC). We even offer an ITIL Expert Suite which combines all of them in one package! Being so familiar with the ITIL framework, we began preparing for ITIL 4 as soon as it was announced, and our new courses will provide excellent guidance on the latest iteration of the world’s most popular ITSM framework. You can register your interest today for immediate access to our ITIL 4 Foundation course in 2019.